The coaches at Patel Tennis have traveled to over 40 countries in the world for ATP and ITF tournaments, both as players and coaching. Currently, Patel Tennis is coaching Fountain Valley High School and have over 60 players, boys and girls team. This opportunity allows Patel Tennis to deliver unique diversity and understanding with the different age, gender, religion and race. Boys U18 Satellite JTT – Champions!! Fountain Valley earns a share of its first Sunset League title since 1991. 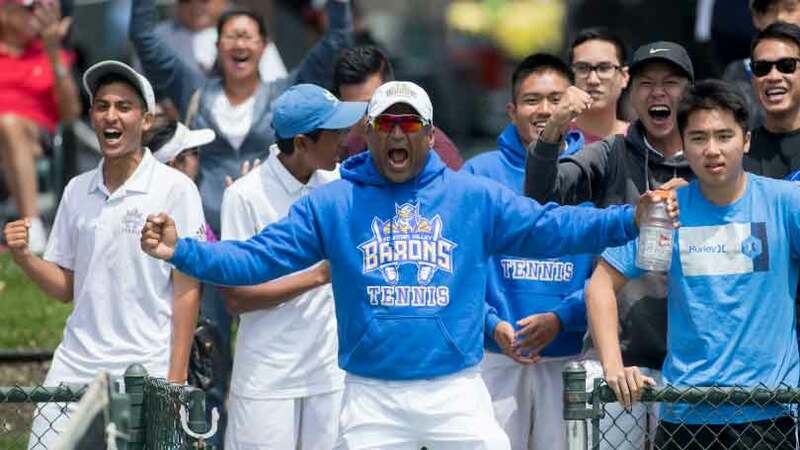 After 4 years of hard work from Coach Patel and his team, FVHS tennis team were finally rewarded with a shared title in 23 years. Coach Harshul Patel receives High School Coach of the year 2014 award!!! Gannon Daynes has had a busy summer, full of tennis playing in ITA and a few wildcard for futures. Made it to one ITA final, beating Ryan Cheung in the semi-final. He beat Santa Clara #1 player and also Skylar Butts. Awesome work Gannon! Whether you are a competitive player looking to improve your ranking or you are moving up to a High School Team, involvement with our Summer Camps is the way to go. For intense players who can dedicate a few hours a day. Technical, Physical, Tactical, Strategic, Mental and Emotional, These are the major components of tennis that are evaluated for each player at the Tennis Academy Program. 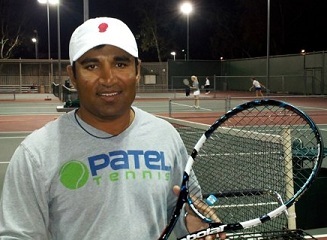 Patel Tennis offers private lesson per clients needs. Will customize the lesson to each individuals needs. If you are looking for a hitting partner, Patel Tennis can help you find the right match for you. Nulla quis lorem ut libero malesuada feugiat. Vivamus magna justo, lacinia eget consectetur sed, convallis at tellus. Vivamus magna justo, lacinia eget consectetur sed, convallis at tellus. Vivamus suscipit tortor eget felis porttitor volutpat. Nulla porttitor accumsan tincidunt. Nulla quis lorem ut libero malesuada feugiat. Vivamus magna justo, lacinia eget consectetur sed, convallis at tellus. Vivamus magna justo, lacinia eget consectetur sed, convallis at tellus. Vivamus suscipit tortor eget felis porttitor volutpat. Nulla porttitor accumsan tincidunt. Vivamus magna justo, lacinia eget consectetur sed, convallis at tellus. Proin eget tortor risus. Nulla quis lorem ut libero malesuada feugiat. Vivamus magna justo, lacinia eget consectetur sed, convallis at tellus. Vivamus magna justo, lacinia eget consectetur sed, convallis at tellus. Vivamus suscipit tortor eget felis porttitor volutpat.